Thirteen panoramas' 1979-2014 some of the current documentary recordings are straight images whereas some are photo-merged multi-exposures. Similar to the renowned Venice Boardwalk Panorama, I've always wanted to travel Earth and record and collect panoramas of significant linear amusement area and compiling them into a9-12 compilation. 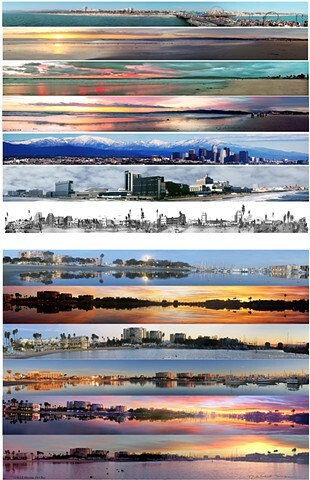 So far only the three United States panoramas are completed.